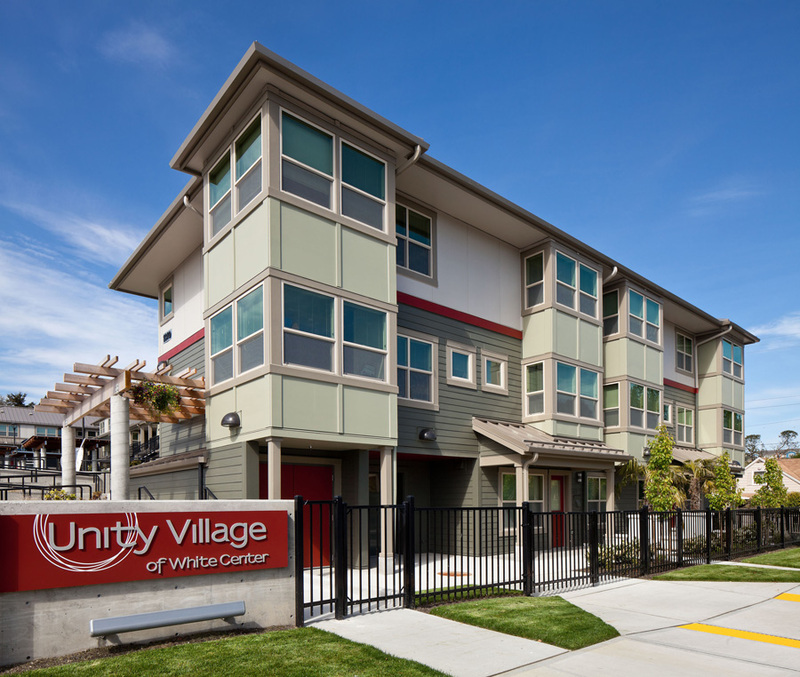 Unity Village adds thirty affordable housing units for families to burgeoning White Center, just south of West Seattle. Six of the units are set aside for formerly homeless families, and six units are reserved for large families. In addition, the buildings contain an office for an on-site manager, and a community room/classroom with small kitchen and restrooms. The project is designed around a central courtyard that provides a playground, garden space, bike parking, and informal barbecue areas for residents.